Australian fashion brand MINKPINK is the go-to brand for bohemian, relaxed designs. Combining a love of vintage and street style, designer Rachel Evans founded MINKPINK in 2005 as a way of creating stylish everyday clothing for the girl who loves fashion and has a strong sense of personal style. With celebrities such as Lauren Conrad, Vanessa Hudgens, Rihanna and Jessica Alba all loving the quirky and original designs, MINKPINK has become a cult brand across the world. 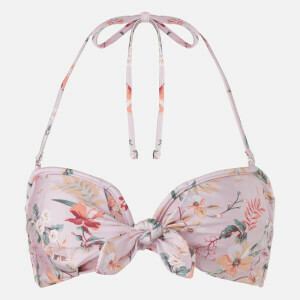 Shop MINKPINK swimwear at MyBag for truly unique beachwear. Free UK and EU delivery available.